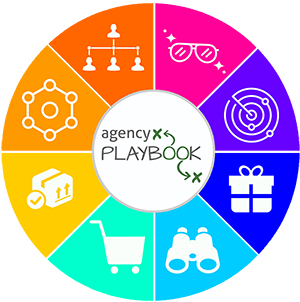 Looking for ways to improve your long-term agency growth? Ever felt like throwing in the towel because the agency grind was just too much? It might be time for a gut check on whether you need to hustle harder or move on. So, check out these insights and actionable strategies from an agency owner that up-and-quit his $1 million agency with over 50% net profits, so he could chase a different dream. Should you quit or hustle harder? #1 most important long-term agency growth tool. 3 reasons why scaling isn’t always a good idea. 4 benefits of podcasting to grow your agency. Today I talked to Mark Asquith who is a founder over at PodcastWebsites.com. Mark moved onto podcasting from his agency that he dissolved (without selling) that was operating at over 50% net profit! Mark left the agency he created to start chasing his dreams creating SaaS for podcasts. We talk about why he left, how anyone could possibly leave such a successful agency, and why agency owners need to be podcasting. Should You Call it Quits or Hustle Harder? Mark’s former agency was operating at almost 60% net profit and filled with high ticket clients. How in the world can anyone leave that behind without selling it? Mark left because, well, he got bored. We all get bored at certain points with our agencies. Whether it’s because the market is in a strange space that we’re unfamiliar with, or it’s because we have to deal with another sales pitch, running an agency has its ups and downs. So, if you’re tired of the grind, how do you know it’s quitting time? When should you stop and when should you shift your position? By not selling his agency, he got to keep all of those client relationships he had developed, and use them to consult on the side. Did he make the right decision? Mark made the right decision for Mark! Only you can really know if quitting is the right thing to do. If you want to leave because your heart really isn’t in it, you should consider it. However, if you know that you should be running an agency in your heart and you just aren’t doing well at the moment, get scrappy and resourceful, and hustle harder! What’s more important your brand or your offer? Your offer may get you a quick sale, but your brand is the backbone of your entire agency. But, let me ask you this. Why do most of us own Mac computers? I know, the Apple analogy has been done to death, but seriously, think about it. They are 3x more expensive, yet almost all agency owners and creatives have one. That’s because Apple branded themselves so well that they made their product associated with creatives. Trying to scale too fast to compensate for low margins will end up making you work 10x harder and possibly sink your whole agency. Branding, on the other hand, creates long-term success and shields you against market fluctuations. Branding is the only way to set your agency up for long-term success. Successful branding will help you leverage yourself as more than a commodity. You want the price to be incidental. As the old saying goes. Sell a good night’s sleep — not the mattress. To scale or not to scale, that is the question. Mark’s agency made the conscious choice not to scale. In fact, he did the opposite! He purposefully trimmed down his clients to the top 20%. This way, he got to work with high margin clients and develop deep meaningful relationships. Here’s why your agency may want to follow Mark’s example and not scale. It gives you time to market yourself. If you aren’t busy 24/7 working with clients, you have a chance to content market yourself. You can start a podcast, write some articles on Medium, or make that blog you keep putting off. You get better margins. If you focus on taking only the clients with the best margins, you set a precedent for future clients. You’re an agency that’s focused on delivering rich content, not being the cheapest. You don’t get burnt out! Getting burnt out can seriously impact your business. Don’t bite off more than you can chew. Mark took on a few quality clients, built a photography studio downstairs, did speeches around the world, and found time to run a successful podcasting company on the side. He wouldn’t have been able to do any of that if he was focused on scaling non-stop. It’s very simple. If you want to grow your agency and provide value, you should have a podcast. Here’s why. You can position yourself as an expert. You’re the head honcho of your podcast so you can position content however you want. People are listening to you, so you’re already set up to be an expert — all you have to do is follow that up with decent content. You can get hyperlocal. Forget the “geotargeted hyperlocal social media-driven ads” for a moment. With podcasts, you can get local and locally relevant. Do you run a digital agency in St. Louis that specializes in landscaping companies? Sweet! Start a podcast that talks about the current landscaping ongoings in St. Louis or how St. Louis landscapers can market themselves better. You can’t get much more local than that. It lets you market yourself as an agency owner. Mark talked a bit about this on our podcast. The #1 tip he has for agency owners is to market themselves. You want to be putting out content that ads value to your customers. It will build you and your agency. You can target your ideal customer. Your podcast can target the exact audience you want. For example, who’s my ideal client? Agency owners. What is my podcast about? Growing your agency. If you haven’t started a podcast yet, start one. 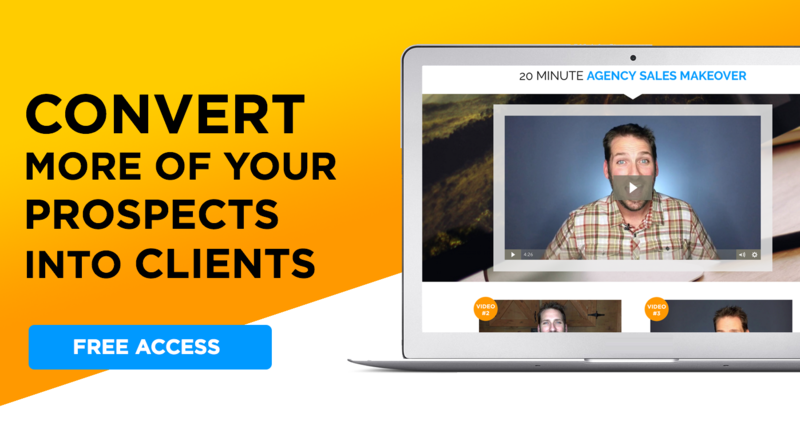 It’s so much easier than you think, and it’s the perfect resource for building up an audience of quality leads while also bolstering yourself and your brand!